← I’m irresistible and sweet! WooHoo! Gonna have a party on the Ranch today! My Diva Christina Wolfer is here with the beer and I have the weenies. I think I see Joelene and Lo trailing in with wine! Ruth and Clancy will be good for the food and chocolate if they make it in. So let’s get started! Go for it Tina. The round pen’s all yours! 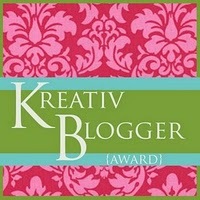 I’m thrilled to be guest blogging on the ranch today. I’ve spent enough time here over the last year and a half and often behind the scenes sitting on the porch with Calisa and a few other Diva’s throwing back a few drinks, eating little weenies and discussing men, writing and life as it comes at us. Before I go any further though, I want to give a big shout out to Calisa, on her debut release, HOME. A fabulous story. So why am I here, you may be asking? 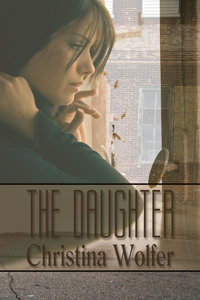 I’m not just filling a hole in the calendar, well, I am doing that too, but more than that I’m here to tell you a little about me and my newest release, THE DAUGHTER, which came out January 14th from Turquoise Morning Press. Like Calisa, I’m a small-town country girl through and through and I share her passion for horses. Writing, like reading, has always been a part of my life. 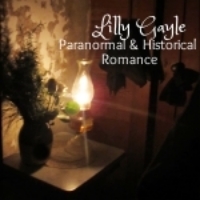 I write romantic suspense and romance with strong elements of suspense set in current times. When I first headed off to college, my plan was to get my degree in Social Services with my primary desire to work with children, to save them really and help them have better lives. I went to work at a runaway shelter near my hometown and learned the realities of what I would really be able to do. During that time, I got to work along side some great Social Workers who invested emotionally in the lives of others. Okay, so now you’re probably wondering what all this has to do with anything. The heroine in THE DAUGHTER is a social worker; however, she’s working to get prostitutes off the street. Abandoned by her mother at birth, social worker Katie Delynski believes love and relationships are learned—and she hasn’t learned anything good about either. She avoids both love and relationships by focusing on her career and by getting prostitutes off the street. But when a man she’s never met commits suicide and names her as his daughter, leaving her millions of dollars and a family full of new relatives, things change. Her new family invites her into their lives, stirring a sense of belonging she is afraid to believe in. Determined to put her windfall to good use, Katie buys an old building for a women’s shelter. Her newfound family puts her in touch with Conner Patterson, a family friend, to help rehab the building. As work progresses, Katie finds herself falling in love with Conner, but fear keeps her from acting on her feelings. It soon becomes apparent, though, that Conner may be her only hope for survival, when someone hurt by her father’s past indiscretions is determined to make Katie pay for her father’s sins. 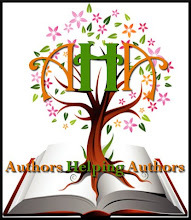 Please leave a comment to be entered to win an e-copy of THE DAUGHTER. Sounds like a keeper to me. That cover is breathtaking. Where can we find you when you’re not kicked back on my porch? It’s been awesome having you talk about The Daughter, Christina. I’m so thrilled for your success since we met! You are on fire girl! Thank you for being my guest today. Now who wants a copy for your own of The Daughter? Raise your hands folks. Better yet, leave a comment to be entered in the drawing! 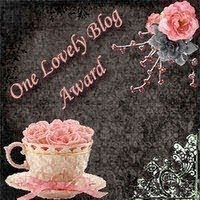 Posted on 01/24/2012, in Pen of the Dreamer and tagged Calisa Rhose, Christina Wolfer, giveaway, HOME, Pen of the Dreamer, romantic suspense, social work, Tales of the Scrimshaw doll, The Daughter, The Wild Rose Press, Turquoise Morning Press. Bookmark the permalink. 38 Comments. Congratulations J.D., you are the winner of an e-copy of THE DAUGHTER. Please e-mail me at christina.wolfer@yahoo.com. I love your new book. I finished it this weekend and the only disappointment was that I was at the end of the story. You brought all the characters to life. I absolutely loved every page!! Now on to Undercover. Thank you, Cindy. I’m so glad you stopped in and that you loved The Daughter. I’m so glad I’ve got you to ask all my crazy questions to. Hugs! Sounds like you turned an interesting experience into a fantastic story, Christina. Good luck with it! Thank you, J.D. I appreciate you stopping in. Hi, Christina and Calisa! Christina, your book sounds wonderful! I love romantic suspense. Hi Maria. Thank you for your kind words. I have to say your latest release, The Governor’s Sons, is doing very well. Congrats, girl. Hope the success continues. Thanks for stopping in. I remember you telling me that you took calls from a hotline for kids. I’m sure you helped more kid work through their troubles than you will ever know. It would be great if you could see how they are doing today. Just think how many people you touch with your books! I loved the bravery of Amanda in Two Brothers. It means a lot to me that you stopped in and left a comment. You have such a good memory. I truly enjoyed working with those kids and love the idea of touching peoples lives with my stories, even if it’s something as simple as letting them get away from reality for a few hours. Thank you for your support. Hugs! It’s been a fun day people. Thank you all for dropping by and sharing Tina’s new release. For those of you who are on your way to buy it- you will not regret it. She’s a great writer! For those who aren’t ready to travel yet, grab a drink and take a seat and we’ll watch fireflies. Cheers, my friend. I think I’ll have another of those drinky things and bring on the weenies. I should be editing or something, but this is so much fun, I don’t want to leave. Thanks for being such a great host, Calisa. Still have not purchased ‘The Daughter’. Don’t worry, I will. Just a lot on my plate these days. Again, I did enjoy your first two books. Care to share what is in the works? C.
Chris, you are just flat out awesome, but I’m sure you hear that all the time from the ladies. So cool of you to stop in and leave a comment. I know how busy things can get. I downloaded a book by Karen Rose to my Nook hoping to read this week, but it looks like it will have to wait. Next in the works is Emotional Warfare. You’ll get a kick out of this as it has to do with our business – Aerospace. And illegal exports. This one is scheduled for release in August of this year. Thanks again, buddy. Hey there girl! Had no clue you actually considered Social Services prior to making your decision to be a writer. While you have the intelligence and compassion to be a Social Worker, I’m SO glad you took the writing avenue. Can hardly wait for the book version to be released. Loved Undercover and The Daughter promises to be awesome reading as well. Keep ’em coming! Hey, girl. So awesome that you left a comment. And I saw your post on facebook about your first thought when I mentioned career choice in connection to The Daughter. You could have gotten away with saying that here. She thought I meant the prostitution part, ladies. Haha! Hugs, Kathy, thank you so much. Christina, the cover is beautiful. Really eye catching, and the premise really pulls the reader in. good luck. This sounds like a must read! Thank you, Jerrie. This is the third book I’ve written, the first is still under the bed and the second book was my 1st release, but The	Daughter has been a favorite of mine because of the tough issue of prostitution that it deals with. So glad you stopped in. *hiccup* I’ve arrived, but the bottle’s empty. Sorry. Been editing…and well, we know that can drive anyone to drink. LOVE your cover! Don’t throw my hat in the drawing – I got mine the day it released. I’m reading all my Diva’s stories and they rock, but I didn’t expect anything else. Thanks for giving me a reason to return to the ranch. I’m off to find Lo. Hopefully, she still has some liquid bravery left. Looks like most of the Diva gang has arrived. Guess I’ll have to wait on that glass if Joelene has drank us dry. You ladies are the best support system, better than any bra I’ve ever owned. Group hug. I’m dyin’ here! *rolls on floor in stitches* Group hug!!! Hey Lo! Yum the mimosas! Kitchen is all ready for your culinary delights! Rockers are all dusted off, dang this Oklahoma wind and red dirt! LOL, you’re awesome Lo. Thanks for downloading Two Brothers-hugs! Now pass me a glass of that Mimosa. I’ve not had that before but I’m up for trying anything. Cheers! Oooo…pick me! Pick me! This story sounds FABU! Congrats, Christina on your latest release! So very nice to meet you and hang with you at the ranch. Love that blurb! And your cover…WOW! Very pretty, darlin. Hugs! Thank you so much. I do love this cover. It fits the story better than what I could have imagined. My publisher did a wonderful job, for sure. Thank you for stopping by. It was so nice to meet you as well. I love romantic suspense. Sounds like a good read, I’ll have to pick up a copy. Hi Cheryl. Thank you for stopping in. If you do pick up a copy or maybe win one, obviously I hope you love it. Feel free to let me know what you think of it. Tina said she’ll drag out of her edit cave today so keep visiting! I’ll be in and out between crits and edits, too. And yeah, that cover is beautiful! Thanks, Calisa, for having on the ranch today. Sorry to be running late this morning, but the dang day job has me hopping more than usual. Christine, thank you for your kind words. I’m so glad we bumped into each other on twitter. Little did we know we would have other close connections in the form of Calisa. Can’t wait till your release in March, girl. You’ve got to be getting excited.